These are 3-color 8" cement tiles, using the colors Black, White, and Gray colors from the South Beach Palette. 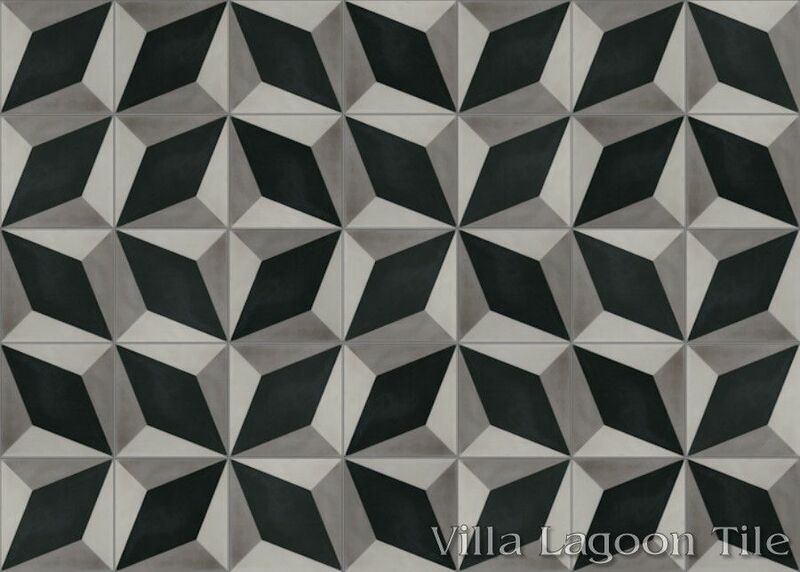 This traditional geometric cement tile pattern provides some interesting effects. 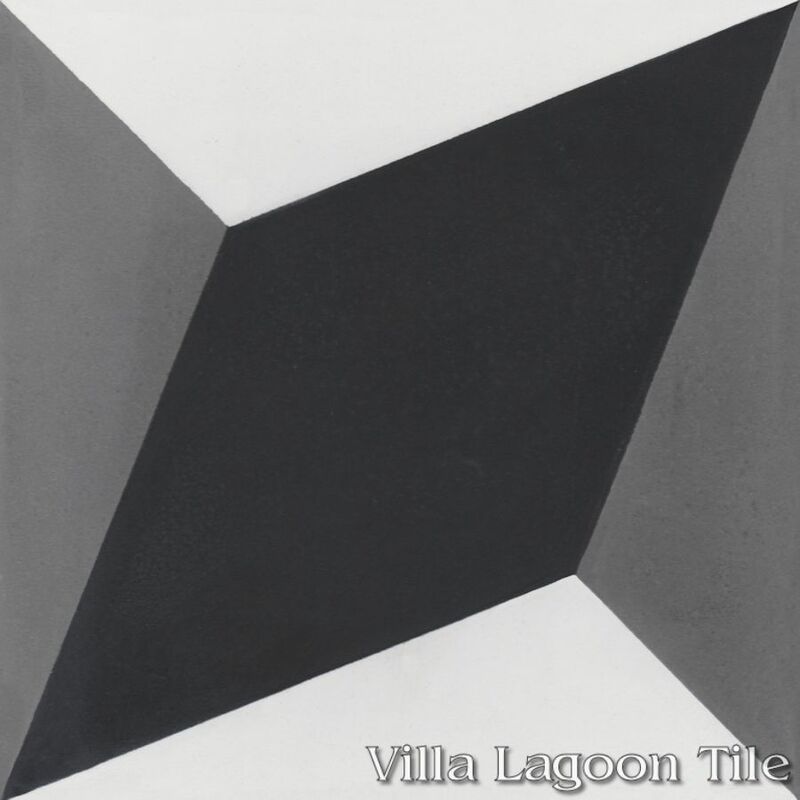 "Large Cubes" is named after our standard "Cubes", which more resembles a stack of cubes. 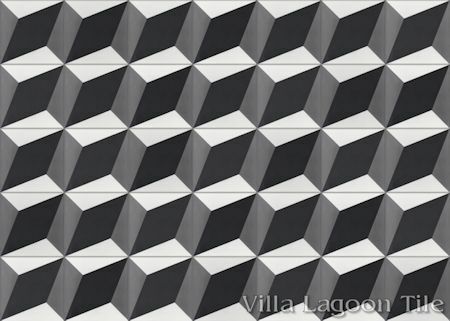 In the most common layout it can resemble a stack of cubes with a slight overlap, or at times appear more like an angular grate material. 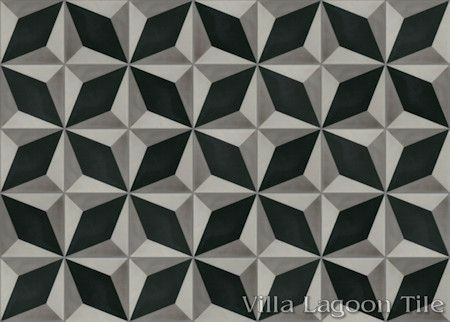 In other orientations, this pattern can form a grid of star and octagon patterns. 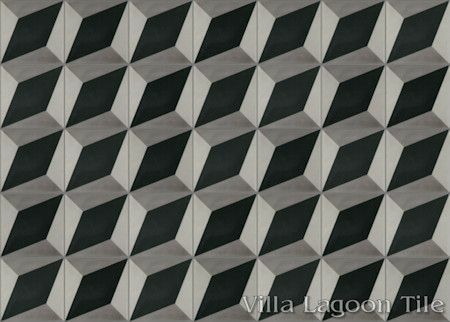 Large Cubes Excalibur, Lot SB-D06, In Stock Clearance Sale! Note: Our current production of Large Cubes marked "B", differs from previous lots. 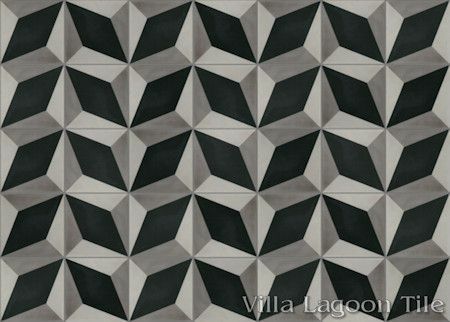 Click here or scroll down for images of our previous lots. 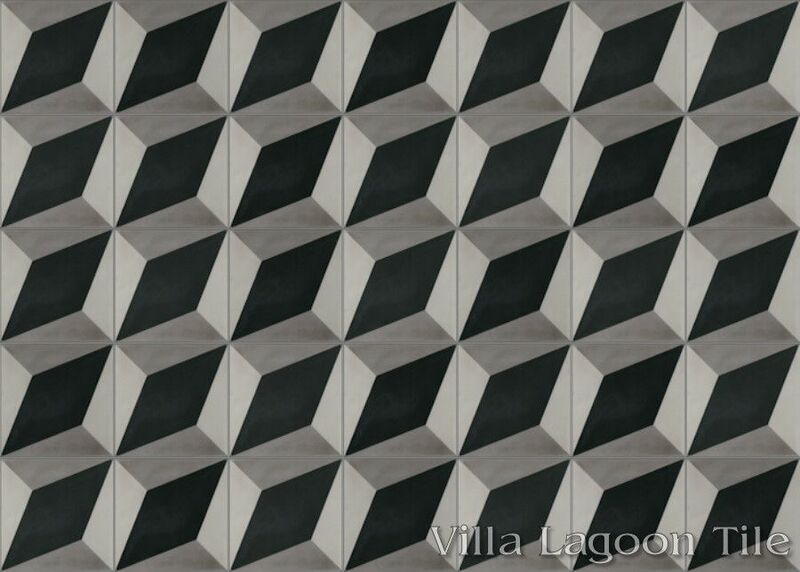 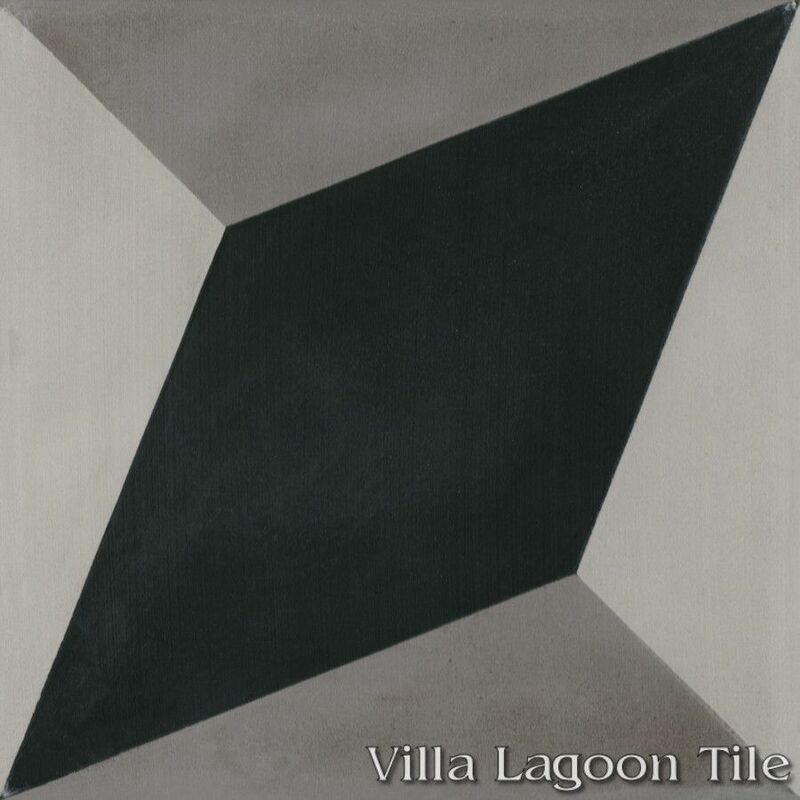 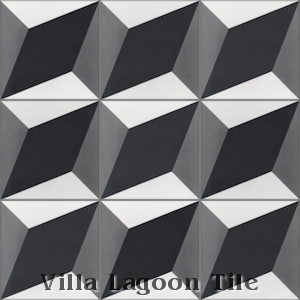 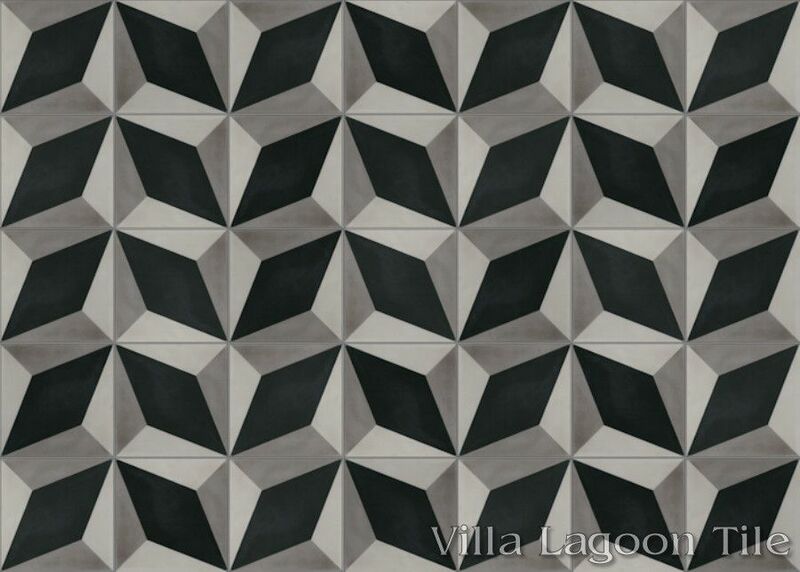 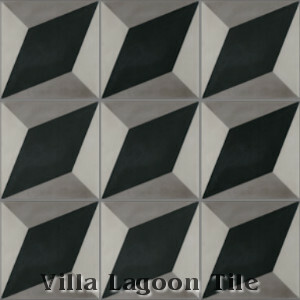 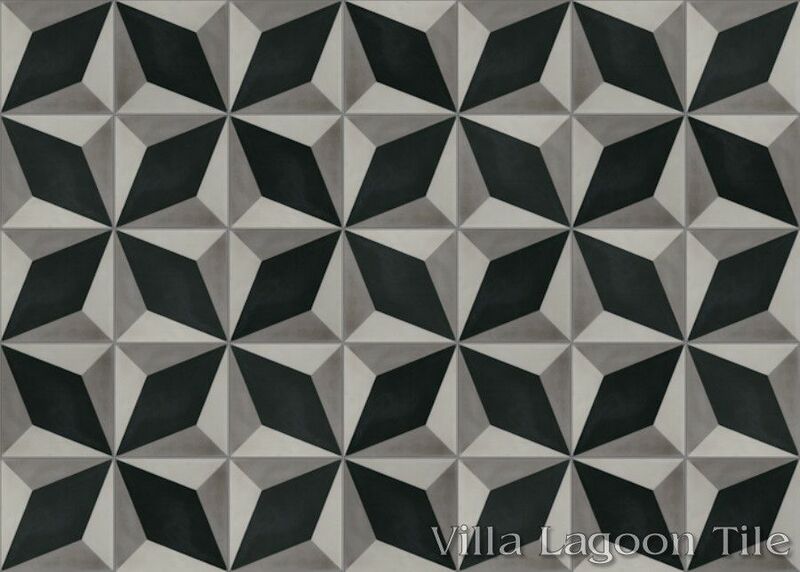 Villa Lagoon Tile's "Large Cubes" cement tile pattern using Black, Earthen Gray, and Portland from the South Beach Palette. 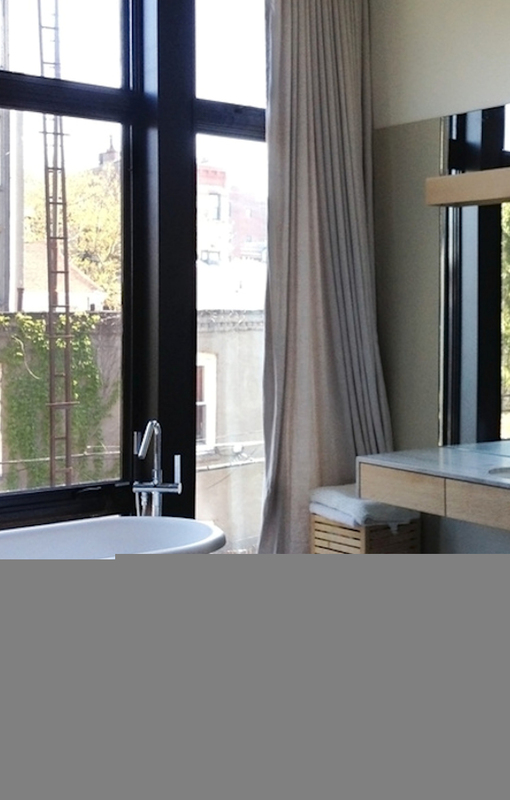 Note: This would be a custom order. 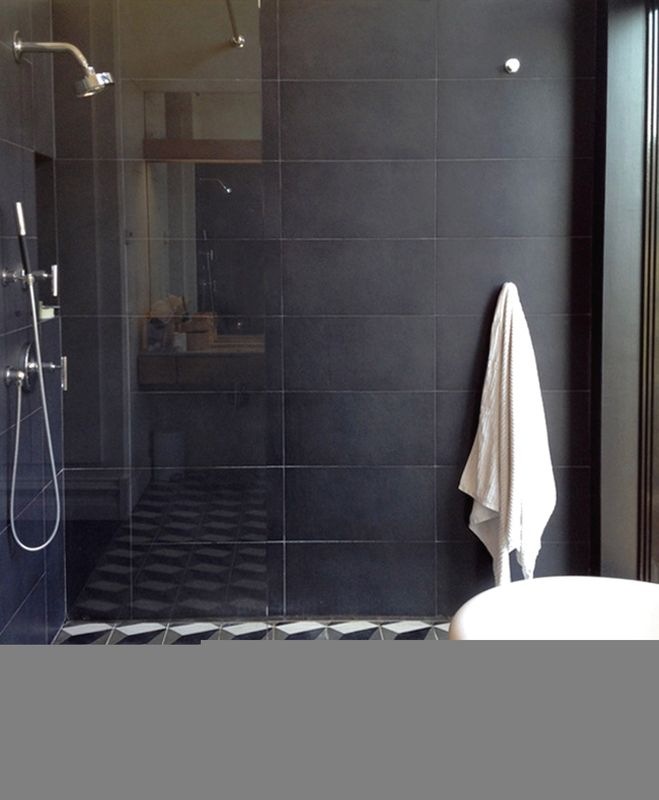 Lead time 10-14 weeks. 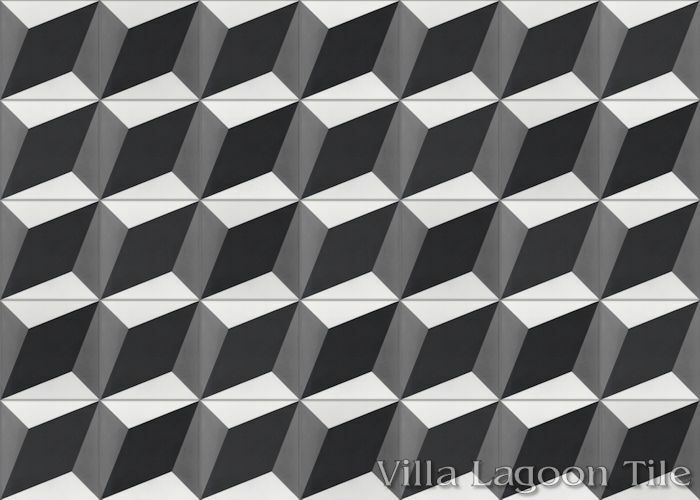 "Large Cubes" lot SB-A06 was produced with different colors from our newest production lot. Please be careful if you need to re-order, or have approved samples from older lots for custom production. 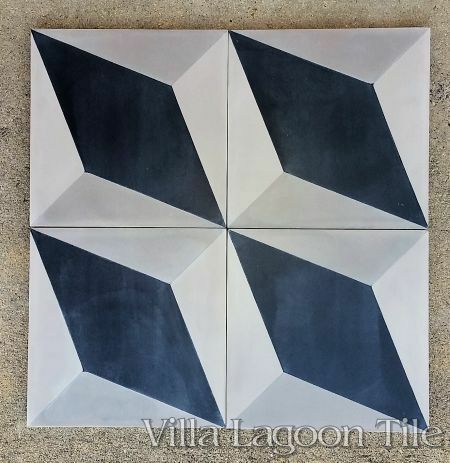 Custom Produced "Large Cubes" cement tile in black, white, and gray. 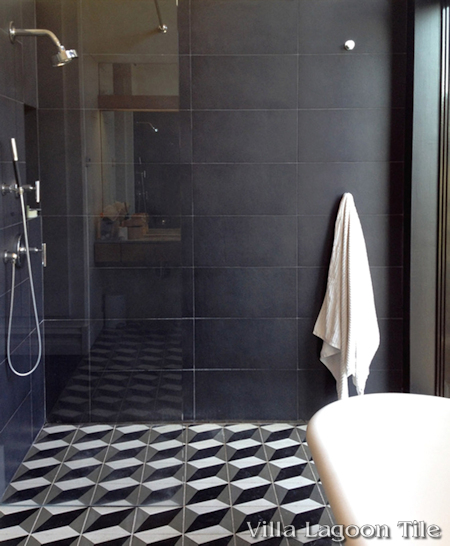 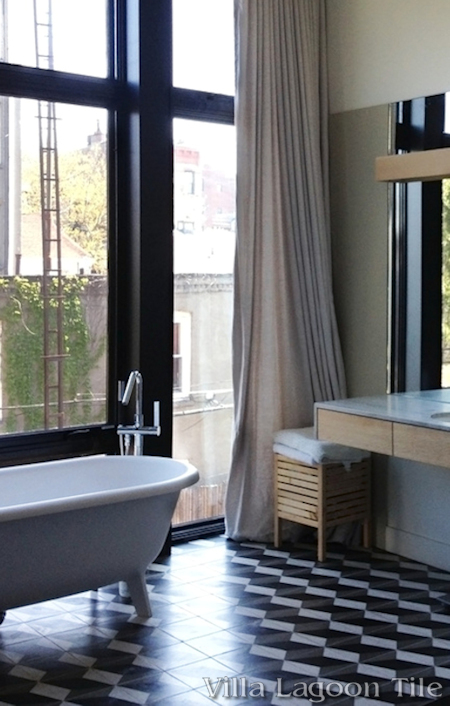 This beautiful cement tile bathroom floor features an open shower.